There is a nice heartfelt tone in this episode when it comes to Tekkadan when it comes to the two who comfort Takaki for Aston’s loss: Mika and, surprisingly, Kudelia. There is the usual visual tell in the episode showing somebody is concerned for another and goes to try and comfort them. Then there is a moment where I thought, after Mika slides down (literally) and consoles Takaki in his own Mika way that Kudelia would just stand by the door silently then walk away without saying or doing anything. Yet when Mika is finished with his say, Kudelia still comes in and consoles Takaki in her own way. Despite how it is part of the obvious crux of this episode, the issue of choice, it is nice to see Kudelia interact with other members of Tekkadan who aren’t Mika, Orga, or Atra, nevermind Makanai. And yes, this is the major choice episode. Takaki, after all his guilt, uncertainty, and a great scene with him and his younger sister Fuka, quits Tekkadan in this episode. I’m somewhat surprised at this, given how I thought he would stick around reluctantly as Tekkadan crawls further into Hell, which it is doing anyway. Takaki quits in light of the revelation that Maccy (who still uses his Kamen garb in public), offers Orga an opportunity to be as powerful as Gjallarhorn. In doing so, Tekkadan would not just merely find a place in the world, but they would be in a position where they would never be victimized again. Merribit and Kudelia are of course concerned for this, with the former uncertain given how it will clash with their standing with Teiwaz. In the case of Tekkadan fighting Teiwaz, especially Turbine, I’m curious how it will pan out. As for Kudelia, she gets offered a chance to be under Makanai’s wing on Earth, but she also refuses given her steadfast eagerness to remain on Mars and work for change from there. I doubt she will regret it, since given her talk with Takaki, that’s her choice out of the million she could have made. Either way, more die has been cast, everybody’s still on point, and it looks like our next target after being roused to combat is Rustal Elion, who it is revealed has known Maccy since he was a child and is aware of his Maccy-nations. More of that please, as we enter into the next big phase of the show’s conflict, now that Tekkadan has withdrawn from Earth. THIRD Atra-less episode. I’m freakin’ out man. Vidar/Galli-Galli indirectly references Ein this episode in a conversation with Julieta, saying something about being a part of him or something. Did Ein survive, or is Galli-Galli also in the same boat in being merged with technology a’la Alaya-Vijyna? I also enjoy the rapport between him and Julieta, and we now know the latter also became part of Gjallarhorn due to being taken in Rustal. Very diametrically opposed to Maccy, who when taken in is filled with hatred and ingratitude, yet she isn’t. 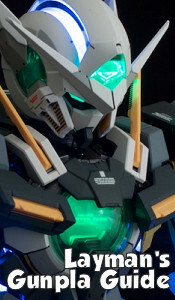 Finally we get to see the Gundam Vidar in action tomorrow. 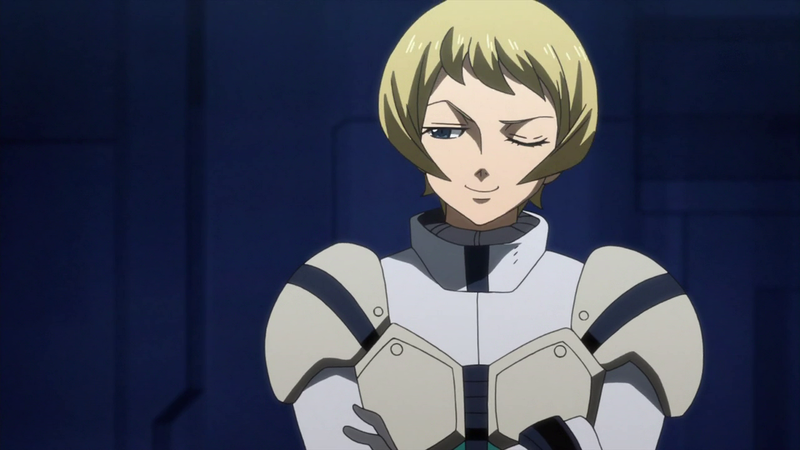 Also it seems that Lafter has a thing for Akihiro now. If Teiwaz does split with Tekkadan, I’ve a feeling she goes back with Turbine. Sure she’d be uncertain but on the other hand, her kids.